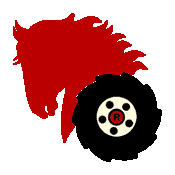 Replacement Commercial Parts Warehouse has been an authorized Wheel Horse dealer for 35 years. With over 200 years of combined experience of Wheel Horse repairs and replacement parts, you have a question about your tractor or riding mower repair and need help, give us a call at 800-937-7279 and we'll be happy to help. We carry genuine Wheel Horse Parts (now branded as "Wheel Horse Toro Parts") and aftermarket parts to help you finish your repair without breaking the bank. Please note that we also carry many replacement engine parts used on Wheel Horse tractors. Enter your part number below or use our free parts lookup (select "Toro" from the dropdown) to find the part you need. If you get stuck, give us a call! Note: Wheel Horse is owned by Toro, therefore the Toro parts lookup is used for Wheel Horse and Wheel Horse part numbers and parts will be labeled as Toro part numbers and parts. Not sure what you're looking for? Browse all genuine Wheel Horse parts here. Can't find the part you're looking for anyone else? We have recently bought out inventory from other dealers so we have access to a limited selection of discontinued and hard-to-find components in our warehouse. Give us a call or send us an email with your part number if you need more information.